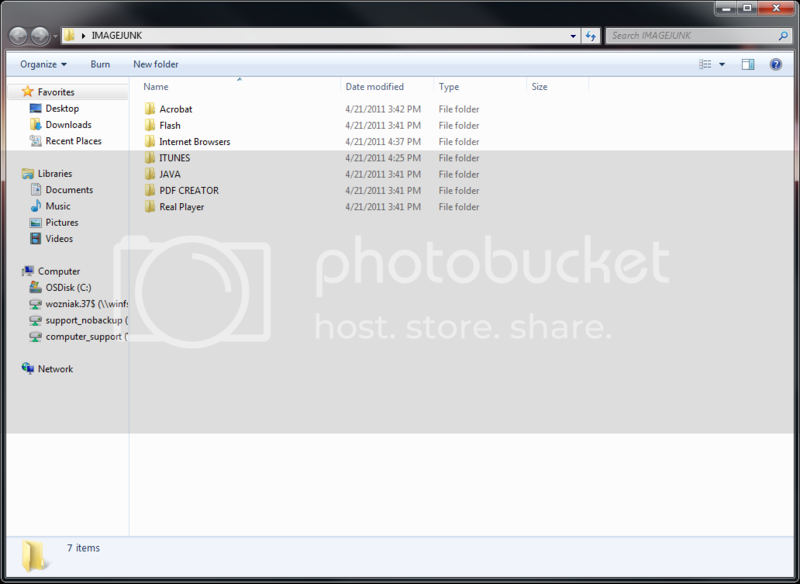 Build a folder and organize as you see fit as a place to set the application files. Add the application(s) to the MDT application library. Set a task sequence for installing the application(s), name it appropriately. Make sure the newly installed application is updated. 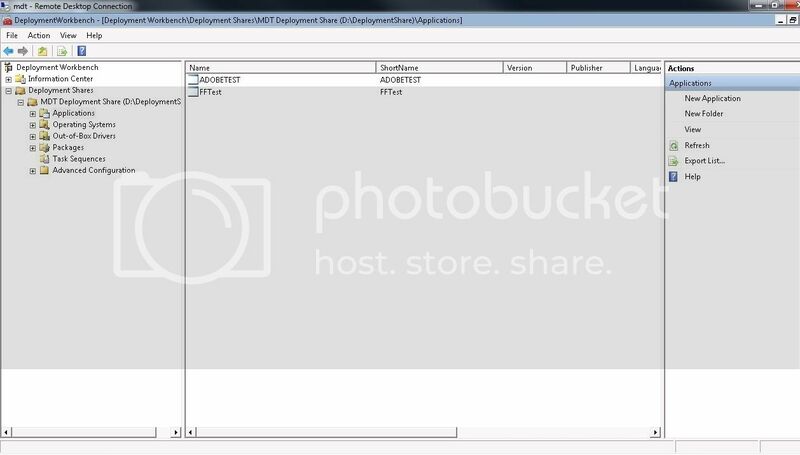 A NOTE BEFORE BEGINNING: FAMILIARIZE yourself with MDT, and its functionality, especially the area concerning task sequences. 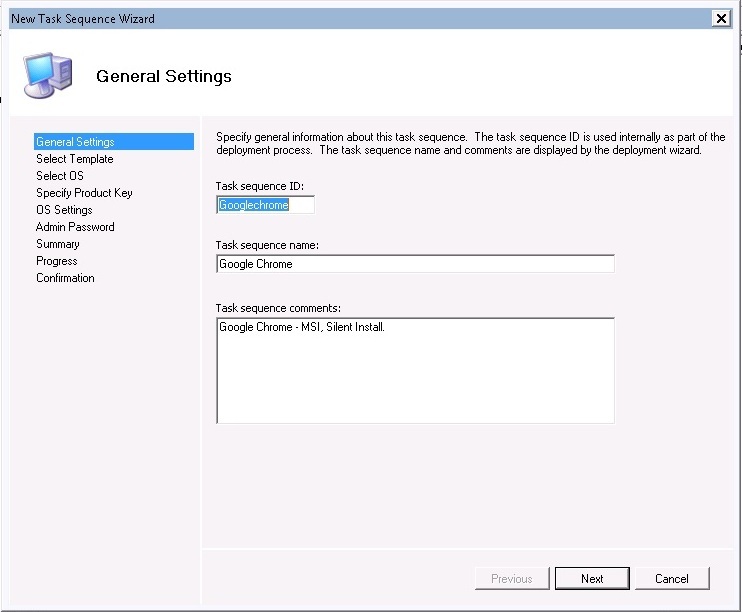 MDT has a built-in reference library which is broken down into index format, additionally; the library has built into it step by step instructions for most MDT related tasks. 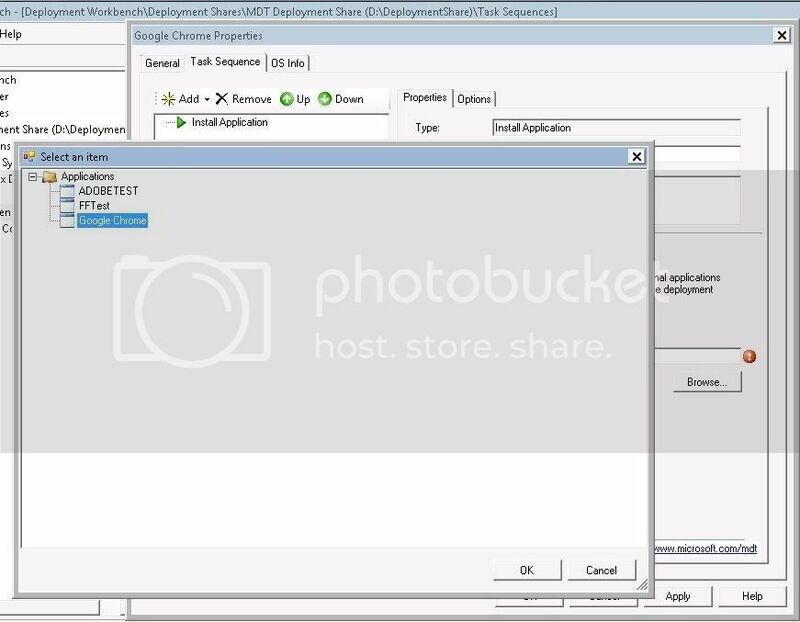 The library is also interconnected with different MDT tools for technical functionality and easy reference. Step one might be one of the longer steps in this really simple process, that is create your file folder. This folder will be used to manage all the files associated with your MDT applications. Name, and organize it thoroughly. 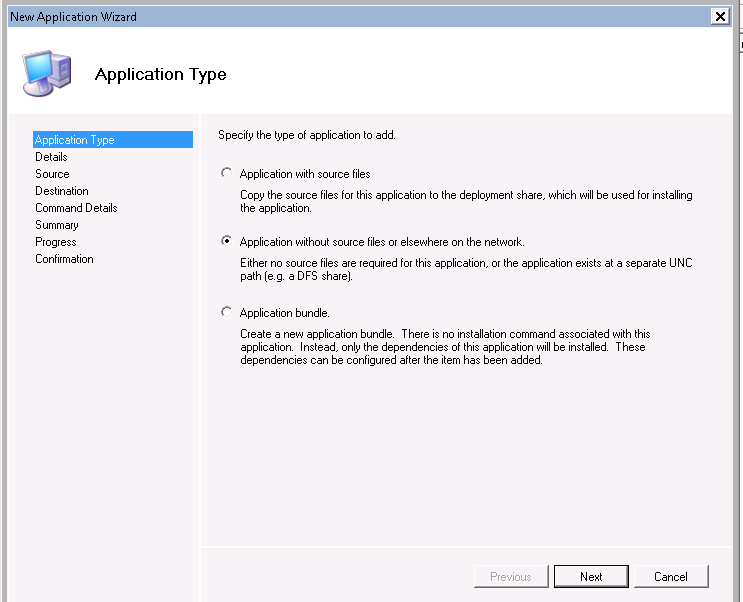 When starting a new application, a wizard will initialize, follow the appropriate steps and complete the wizard. 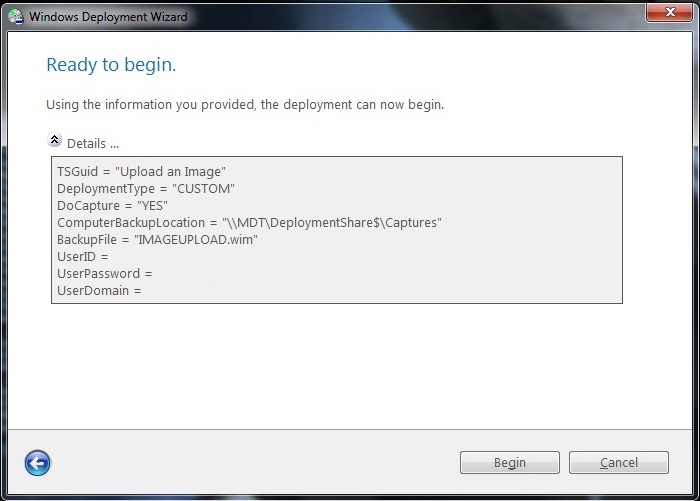 It will place the application into the deployment share for MDT and store it there. 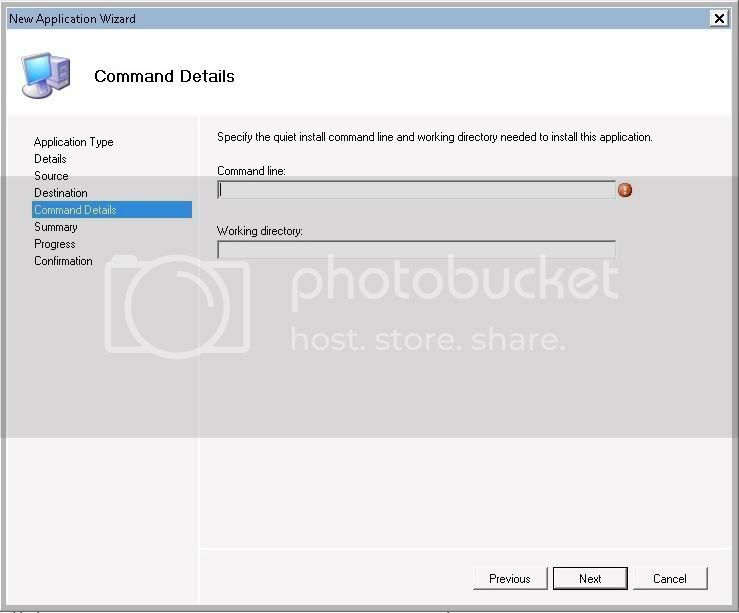 NOTE: When the command line option of the wizard appears, if you know the command line functions you’d like to use enter them now, if not, you can change it later at any time by accessing the application preferences after the wizard process. You’ll see a confirmation screen at the end of the wizard, double check the information and click finish. A wizard will launch. Add your ID, Name and add any relevant notes to the task sequence. 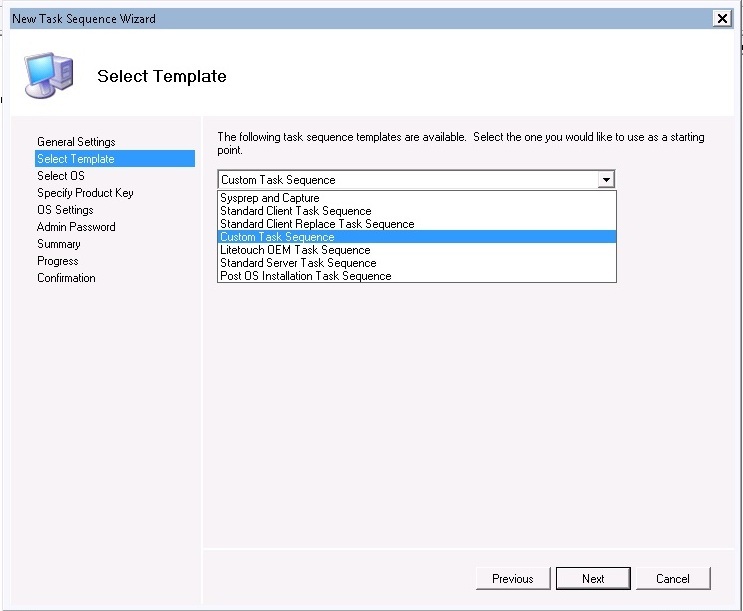 In selecting your template, you want to click the drop-down and select Custom Task Sequence, complete the wizard steps. 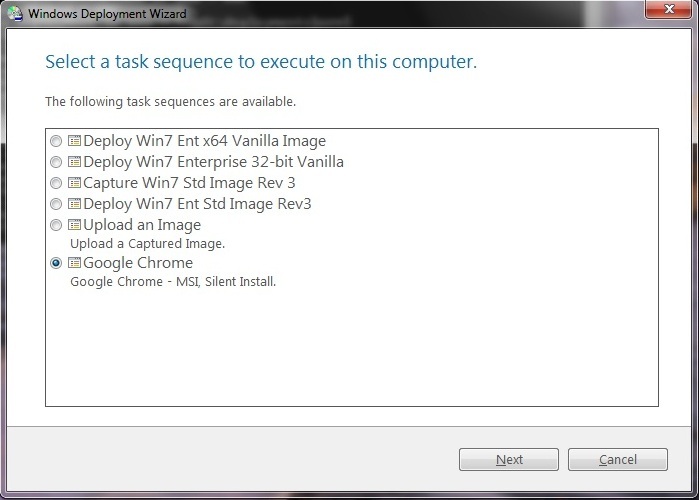 Now, with your task sequence created and application added to MDT, you will go to the task sequence and customize it. Right click the task sequence you created and select properties. This will open a new window. 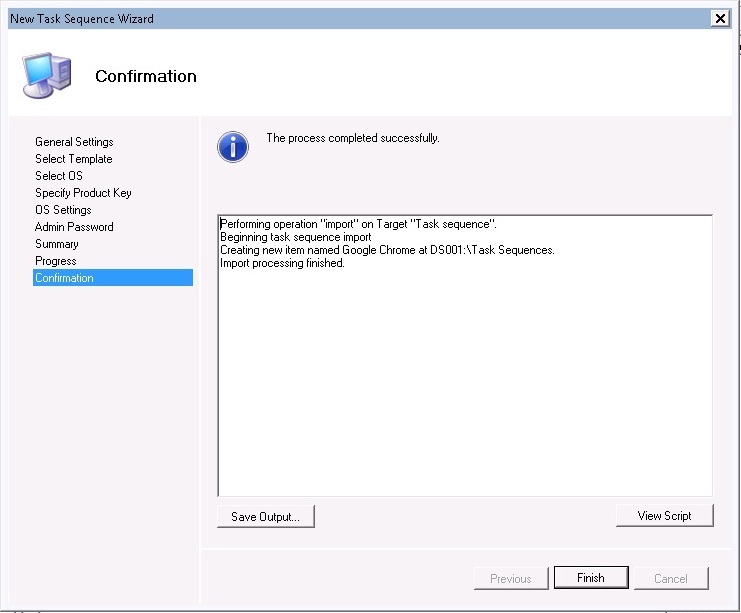 Click the Task Sequence tab, and add any processes to the task sequence and modify their order as you see fit. Also, here is where you’ll add your application to the task sequence. For each application you want in the task sequence, you will add an “Install Application” action to the sequence, and for each application added, you will add the program. 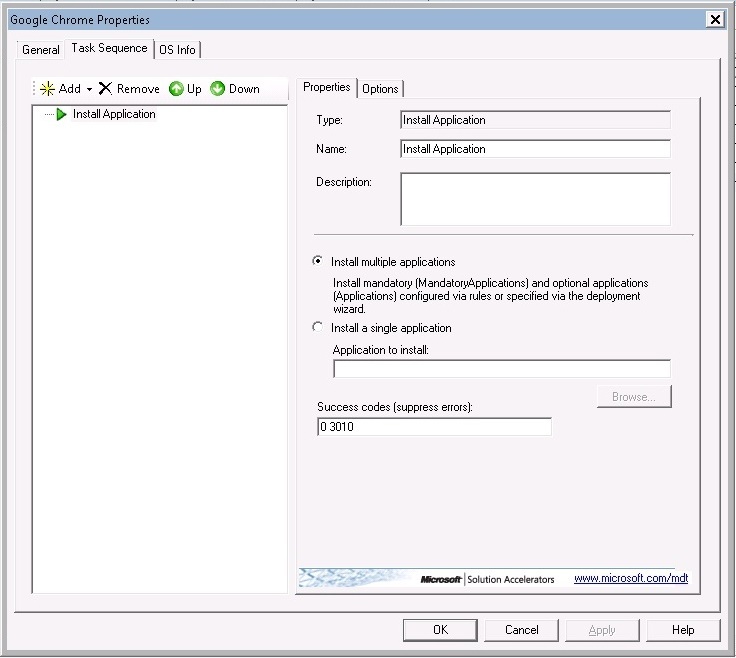 Now, before you finish in MDT, make sure the task sequence has the application associated with it, and the task sequence has the desired command line information. Go to the computer you want to install the applications on. Once executed, MDT Wizard screens will initialize and appear, asking for prompts related to completing the task sequence. The application will install, and you are finished! -Note: The command sequence allows for an unlimited number of applications to be added to it, you have to consider the type of install, and check the applications to make sure they install correctly one at a time. Many applications, even the .MSI’s will have features built in, and have command line workarounds, those will require individual research to get around. The process can become very long and broken if a single application does not work, so do your homework! My experience has shown that taking shortcuts will lead to time wasted in the long run. NEXT POST: Command line entries for silent installs. 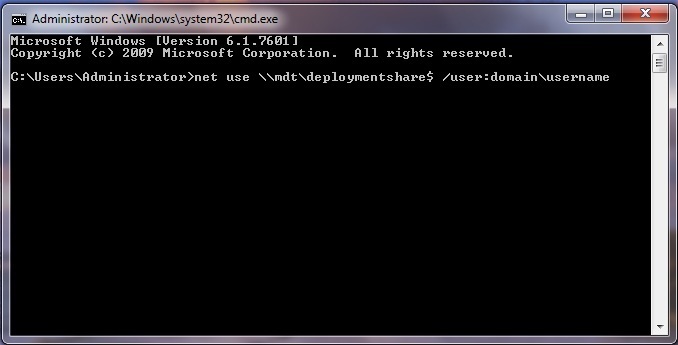 This entry was posted on Thursday, April 21st, 2011 at 9:31 pm	and tagged with Applications, MDT, TASK SEQUENCE and posted in Command Line, LTI, Management, MDT, Task Sequence, Technet, Windows 7 Deployment. You can follow any responses to this entry through the RSS 2.0 feed.